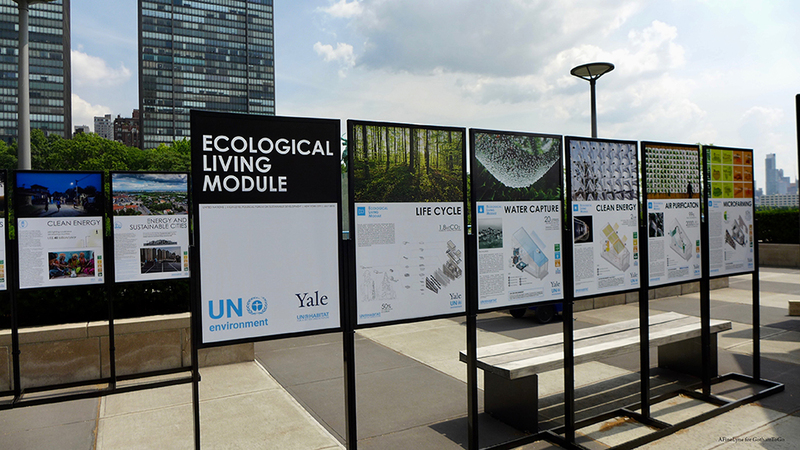 UN Environment and Yale University, in collaboration with UN-Habitat, unveiled a new eco-housing module in an effort to spark public discussion and new ideas on how sustainable design can provide decent, affordable housing, and at the same time, limit the overuse of natural resources and climate change. 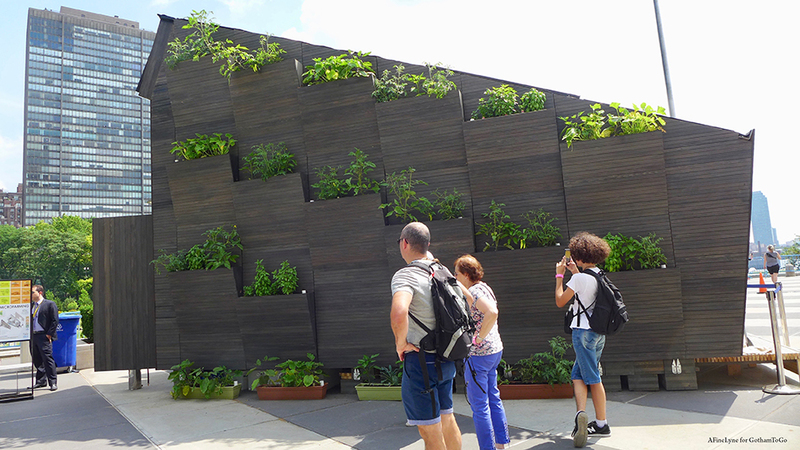 The 22-square-meter structure (about 237 square-feet), known as “Tiny House” was on view at the United Nations Plaza. “Tiny House” was unveiled during the United Nations high-level political forum on sustainable development. It is fully powered by renewable energy and designed to test the potential for minimizing the use of natural resources, and constructed primarily from locally-sourced, bio-based renewable materials. The unit on display (the first demonstration unit) is efficient and multi-functional, accommodating up to four people. 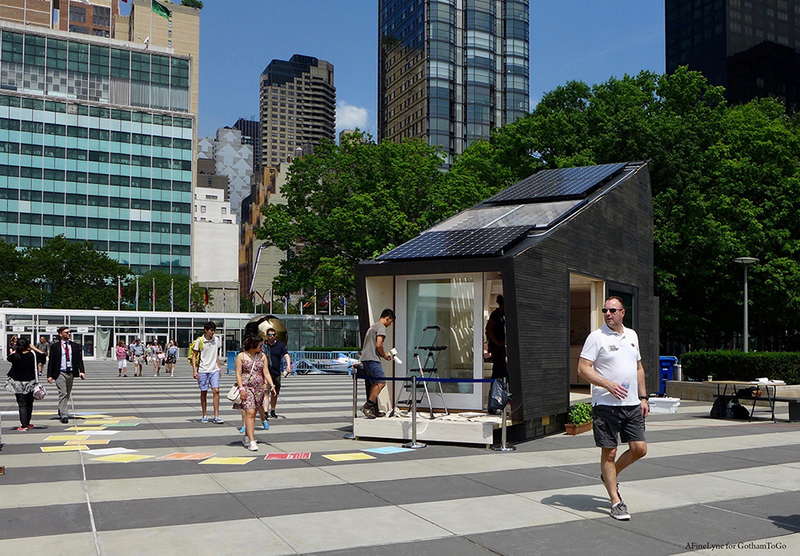 The Ecological Living Module, Tiny House, is no longer on view on the Plaza, but this example of how society can address this current need was uniquely presented as relevant to the local climate and context of New York.